I am tired of hearing about social injustices concerning the lack of recognition concerning African Americans, Latinos and other minorities in the United States. I am equally tired of hearing about the hate crimes that occur all over the world: whether you are a Palestinian in Gaza and hate Israel, or a Jew in France being targeted for anti-semitism, a native of most of Central Africa where genocide and war and disease is unfortunately no stranger, or a Tibetan being persecuted by China, or a homosexual under stress in Russia. The world we live in is not perfect, yet, and it is an unfortunate reality that until humanity as a whole recognizes every single individual living therein as a valuable member of society, we will have these problems. I do not condone them. I do not think it is ever remotely acceptable to murder or harm someone based on the origin of their being, whether sexual preference, geographic location, religion, skin color, or even accent is offensive to oneself. Everyone has their own buttons and prejudices, and denying that is a shame. The key is to work with those people whom one irrationally dislike while still maintaining a polite and fair manner towards them. 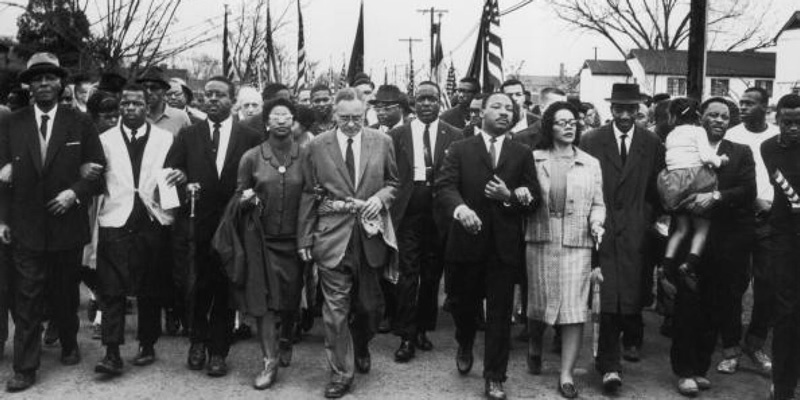 The most recent public relations stunt that is gaining traction is the African American community and other social awareness crusaders pointing out that Selma is being “snubbed” at the Oscars. My question is why is this an issue? If we look at what HLN is promoting, and Hollywood insiders are saying, it is that they feel that there is not enough diversity when it comes to awards seasons. I think that this is a fallacious argument, but listen to what they are saying. These people, for all their journalistic and editorial intent are trying to make a point that there is a lack of ethnic diversity in the world of film awards. Maybe they are correct, and maybe they are full of it, but I think their complaint misses the point of awards, and the individuals who vote for the Oscars. These arts awards are not the “Let’s Celebrate Minority Actors” Awards. The Academy Awards are not the “Why Aren’t There More Black, Asian and Latino Winners” awards. These are accomplishments, judged by their peers in the industry, to whom deserves the highest recognition possible. If you disagree with the premise of the awards, then you need to talk to their advertising committees about changing the purpose of the Academy Awards and who gets nominated and wins. I am all for equality, but to hear people complaining that a predominately black casted movie is un-represented at an awards ceremony that is supposed to celebrate the accomplishments of individuals is inane. To me, this sounds like a bunch of upset actors who are sad that they did not make the grade. This might be because these people are not as well known in the industry as some of the other nominees. This might be because there were qualitatively better performances from other actors, and in better movies. I personally think that The Grand Budapest Hotel was one of the year’s best, if not the best movie of 2014. It was an intriguing and captivating film told from an interesting perspective, and that might be exactly why the members of the Academy voted for it ahead of Selma. There are other films, and were other actors that produced performances that were more than noteworthy as well, so I am unsure why there is such outrage from the community. Here is another example of industry journalists complaining about the Selma “snubs”. Why is this important? Well, if we take this issue at face value there are three very good perspectives to look at this situation from. Let’s start with the easiest to adapt for our society’s sense of moral outrage. The first perspective is that we live in a society that undervalues, if not completely rejects the notion that all ethnicities are equal, and we are all valuable members of society. That notion has merit. You only have to look at recent current events to know that not every gender orientation, religion or culture is treated exactly the same as the others. When these actors and industry experts moan about Selma and its performers not being recognized for their work by the Academy, it can be felt as though they are trying to score sympathy points, because it seems like a disingenous position for the vast majority of industry insiders to hold. They are not the ones who have been “snubbed” by the Academy and awards committees. They are just trying to accrue sympathy on behalf, and from, those who do have a vested interest, and that seems wrong to me. Although I do concede that some of these individuals are actually crusaders for human rights and total equality which is an inappropriate stance in these scenarios. The second perspective that I understand individuals adopting is the one that allows a person to join the bandwagon of “The Academy is Evil!” The cast members of the movie are the only ones who should truly feel this way. It was their work that got passed over. It was their time and dedication to a piece of art that essentially was told, “It’s not good enough.” That’s annoying. That’s even infuriating. I know, because I have been in similar positions with competitions, publishing, etc… No one wants to be passed over for an award, and when it happens, being angry and coming up with what one thinks are logical reasons and responses is a perfectly natural thing to do. Just own it. That’s my opinion. If you are a cast member of Selma or contributed to the production, and you feel a lack of recognition, just own it. It’s not that big a deal. Most people will understand your feelings and sympathize to a point, but you will be honest with yourself too, and that is the key. Finally, the third perspective that I understand people adopting and others feeling is that this is a load of crap. Seriously. This is the camp I fall into. I do not think any organization is inherently or entirely ethnocentric or is out to hurt other groups of individuals, despite what is being pandered about in the mainstream media. I believe that the Academy had reasons for voting the way they did, and I cannot totally disagree with them. I don’t think that anyone who is upset about the current results is being unfair, but I do think they are all beating the “race” drum and protesting a bit too much to be considered valid proponents of anything other than the status quo. With all of the complaints that are being published about the criminality of not rewarding a single movie with a primarily black cast, it seems as though the complainants are just contributing to the negative perceptions of individual groups. And that is annoying. If you want to wage an advertising campaign to reform the Academy and other Awards, then those interested in doing so need to come up with a better advertising plan than what is currently running. Submit a petition and explain why we should factor the ethnicity of the performers and producers into the Awards equation. If you can make a valid case and advertise it effectively it should pass. However, if these individuals are not interested in actually reforming the Awards process and are just looking for an issue to attach their names too, then this is a silly notion. There is no real reason that I can think of to allow the criterion of ethnicity to become a factor in the awarding of any commendation. It would mean that now being black, or jewish, muslim, christian, buddhist, Indian, British, or any other arbitrary and uncontrolled factor could determine an award being received over the actual credentials of a good performance. Do you think that the Academy should allow race and ethnicity to be a factor in the naming of Awards?